You may create as many albums or events as you like. You may send clients to your home page or directly to an event album. You can also password protect albums for private viewings. You can also give each of your event albums a unique template, so that every one of your events has a distinct look and feel. The templates will include a large preview photo of your choice. When creating event albums, you are able to add searchable information, such as event type, date, and photographer's name. Combined with the new search feature that is available on your storefront, this data will make it very easy for your customers to locate their images. Event albums are only viewable from your home page and are not part of the stock database. 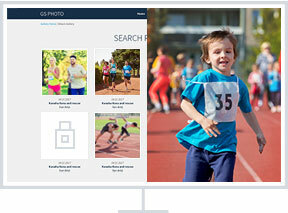 Event photos will be compressed upon upload automatically allowing you to quickly upload hundreds of photos. Once you receive an order on a photo you will be prompted to upload the full size image from your up-loader tool.